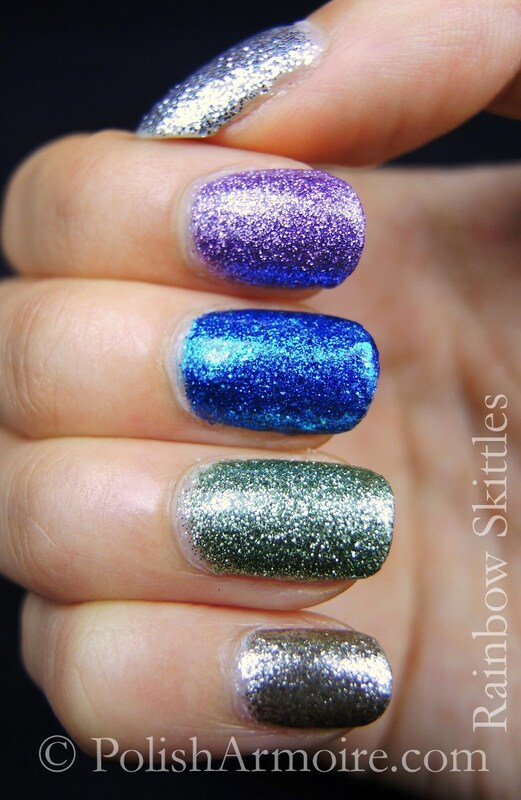 Rainbow Skittle Glitter Nails – BLING! The theme for Week 2 of the PANZ Nail Art Challenge is Bling! 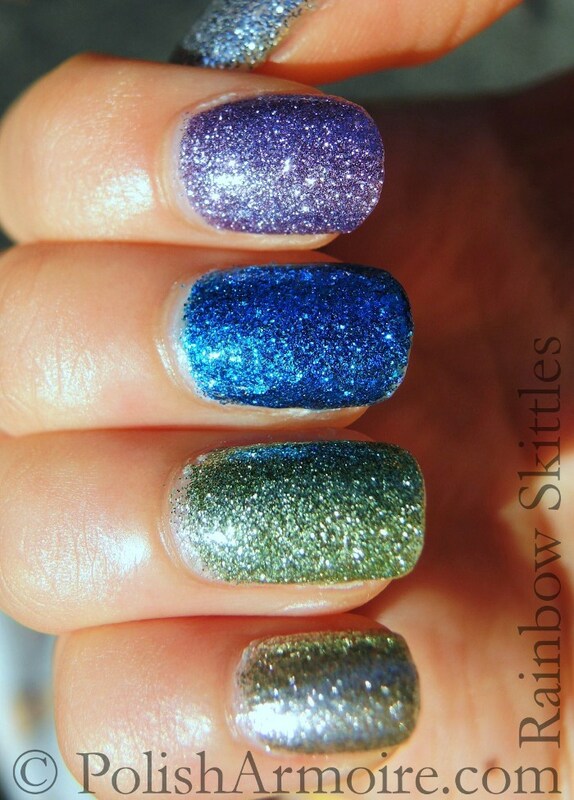 I decided to go with rainbow skittle glitter nails and I love how colourful and sparkly it turned out. I did briefly consider also adding a a coat of holographic glitter on top but decided to keep the finish clean and simple instead. This mani was extra blingy in sunlight, even more so than the photo below which was taken in sunlight. I used a coat of Poshe super-fast drying top coat to make it even more shiny and to smooth out the finish of the glitters which dry slightly bumpy. Tags: PANZ, Rainbow, Skittles. Bookmark the permalink.